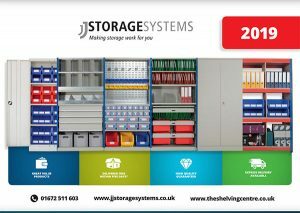 The Shelving Centre was founded 34 years ago and we put great emphasis on high quality industrial shelving that is reliable, durable and sold at low prices. Therefore, we put our trust into Dexion shelving. We are a specialist supplier of a variety of new and used Dexion shelving in London including the Dexion Impex Shelving System with its vast array of benefits. Storage is more than just appearances, and quality is what really matters with Dexion racking. Whether used in archives, warehouses, offices, factories or workshops Dexion Impex shelving guarantees a high-quality product that saves money, space and time. We specialise in Longspan and Impex from the Dexion shelving range. Dexion Longspan is the perfect solution for storage needs, especially useful for a wide range of big and bulky items. Dexion Longspan is fast and easy to assemble as it is a bolt-free lock-in system, requiring no further specific tools. Longspan Dexion shelving comes equipped with many benefits. 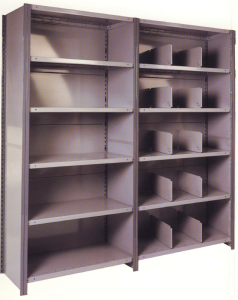 Dexion shelving allows for higher density storage and greater flexibility. Lost space is kept to a minimum. With this type of adjustable Dexion shelving, shelf positions can be changed quickly and simply. Longspan Dexion shelving is ideal for a quick and easy installation with no special tools or expertise required. It is also easy to customise to meet your precise needs. All components are interchangeable with the original system. The Impex Dexion shelving can be used for simple or complex multi tier systems. The modular design allows for maximum storage space. Due to its bolt-free lock-construction system the Impex Dexion shelving is fast to assemble, which makes it also easy to adjust or extend. If you would like to find out more about our new or used Dexion racking in London or to place an order, please contact us.